FACT CHECK: Is This a Japanese Giant Emperor Moth? 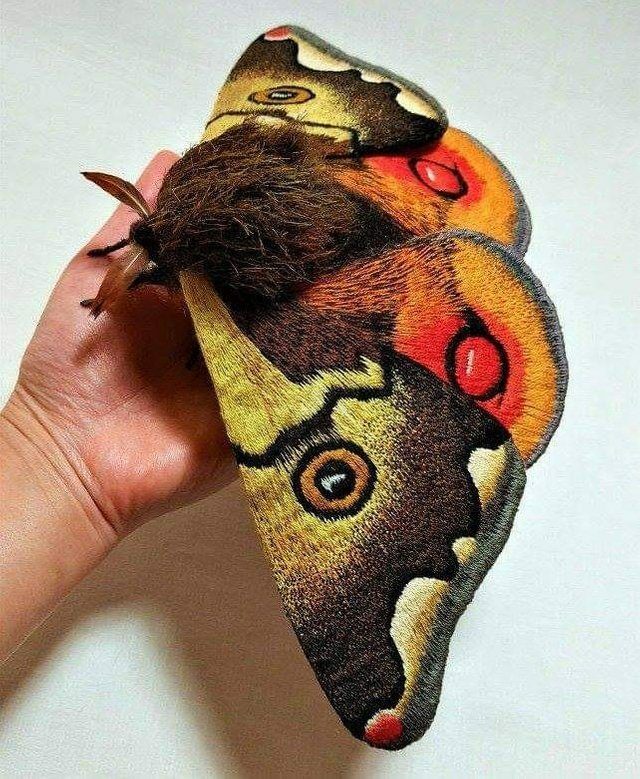 Is This a Japanese Giant Emperor Moth? Toys and figurines are confused for real animals at surprising rate. A photograph shows a Japanese Giant Emperor Moth. 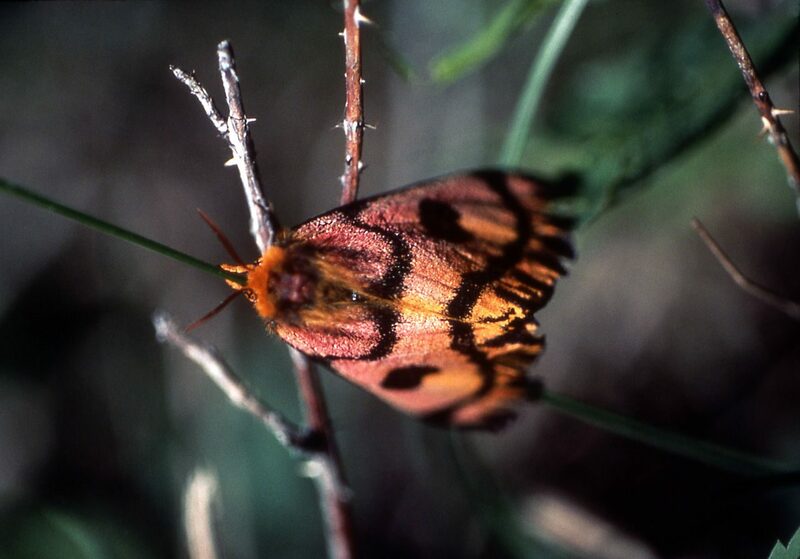 Although this photograph has often been presented as if it documented a large species of moth, it actually depicts a figurine made from embroidered fabric by artist Yumi Okita. 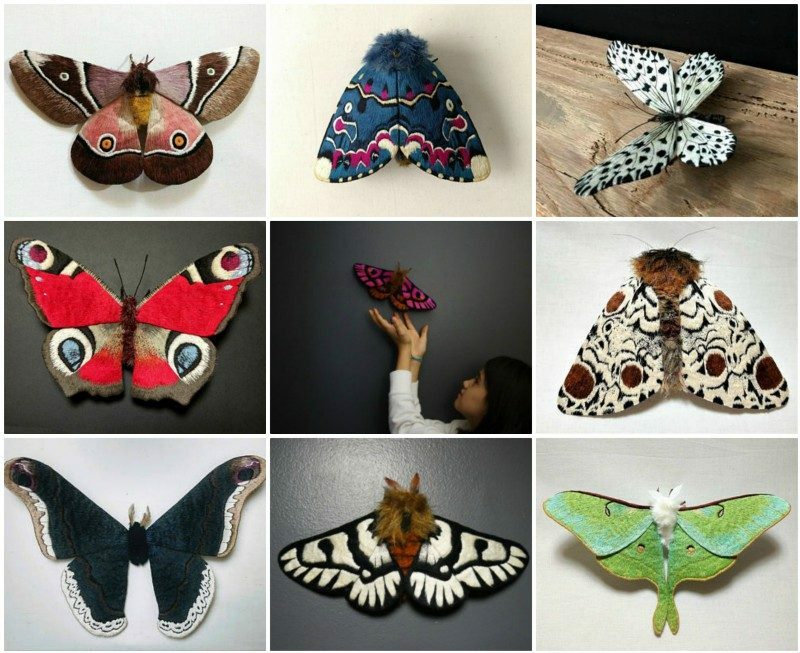 Although this viral image does not show a Japanese Giant Emperor Moth, it was inspired by a genuine species of moth called the Hemileuca eglanterina, or sheep moth. Okita noted that while she tries to capture the realism of nature, she adds a bit of imagination into her pieces.